And today I have for you what was probably the most fun episode to ever create! Why? Because no other topic gets me so wound up and chatty as that of freelancing. 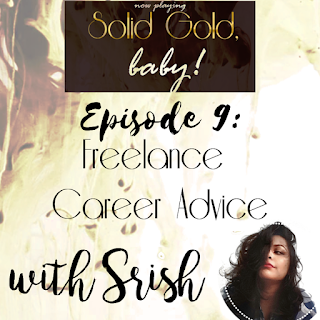 Today, I'm sharing some serious career advice (j.k. there is nothing serious about this) for those of you starting out, or considering starting out as a freelancer. Check out the full length version of this episode by clicking the image below! Not sure what to expect? Listen to the minisode on the player below, or at this link! Seriously, I'm literally always scrolling through those accounts when I feel crap about my job! Alright, you guys, I hope this episode is enlightening, and remember to tell me what you think over on Instagram, Twitter, Facebook or via e-mail! Thank you so much for listening to me today, I love hearing from you everyday! 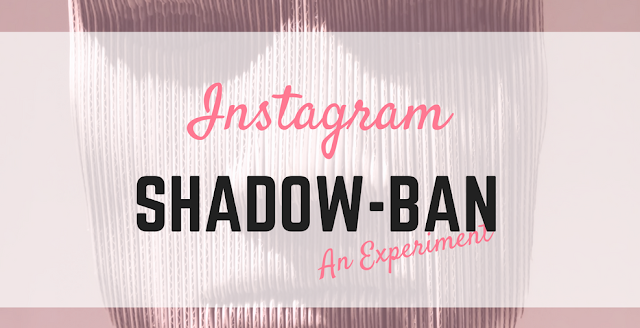 This post is a follow-up to my original post about the Instagram Shadow-ban. If you haven't read that yet, this one probably won't make much sense, so check that out first at the banner below! As you know, I ran an experiment to test whether Instagram Business accounts are selectively shadow-banned to encourage businesses to pay for ads. I decided to switch back to a Personal account and see if my engagement and visibility changed dramatically. 3,290 followers, and 90 and 130 likes on average. Every other post got a few comments, and about every eighth post got a lot of comments. 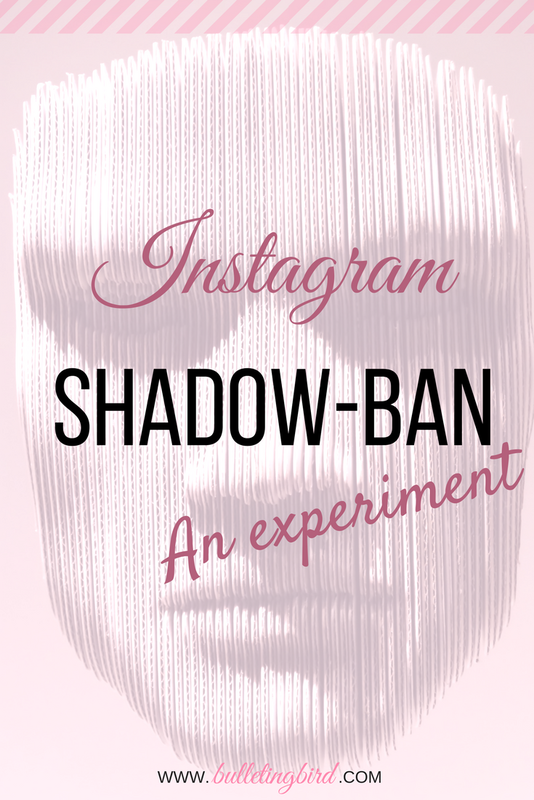 Based off the shadow-ban concept, the theory was that Business accounts have their views drop dramatically, so that they have no choice but to pay for Instagram ads. So the hypothesis we tested was that switching to a Personal account would cause visibility and engagement to rise dramatically. In order to keep the comparison fair, I kept my posting schedule and content pretty much the same. Colour schemes, caption styles and hashtag lists were as similar as possible, and I made no significant changes to my profile description. These couple of weeks happened to co-incide with the loss of someone very close to me. As a result, I was unable to post anything to any of my channels for a couple of days, Instagram included. I did notify my followers and received nothing but kind, sympathetic DMs and comments, which truly helped me through this difficult time, so a massive thank you to everyone who sent me a lovely message. 3,336 followers, and anywhere between 60 to 150 likes on individual posts. An average of only about 20 new followers each week. The number and frequency of comments on my posts remained pretty much the same. I did notice that my follower count grew steadily, i.e. there wasn't quite as much fluctuation with follows and unfollows as there was in the weeks before the switch. Another noticeable difference was the massive fluctuation in engagement for each individual post. The range of how many likes each post gets was rather large. With the Business account, I could see older posts gaining more engagement as time went by, but as a Personal account, this simply didn't happen. In other words, older posts didn't get any more attention after about a day or two. But all in all, there was no dramatic change - better or worse - and changing back to a Personal account didn't really do much for my popularity on Instagram. Now it wouldn't be truly scientific to draw strong conclusions based on this tiny experiment for a few reasons. The sample size is literally just one. We'd need way more data to draw any reliable conclusions from this experiment. We only ran the experiment for two weeks. Perhaps there might be an amazing change in the next month or so. 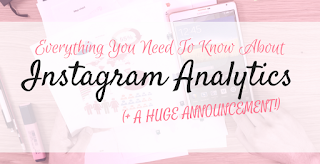 I have found that, in general, activity on Instagram is unusually low in the first quarter of the year, and unusually high in the last quarter. This could have made a difference to the data. As of right now, I've switched my Instagram account back to Business, for a number of reasons. The first and most important one is that I need people to be able to drop me an e-mail without having to hunt for an address. As a follower, there is nothing that irritates me more than having to climb a mountain just to get in touch with someone, and I ain't putting the rest of you through that! Secondly, the results pretty much show that having a Business account doesn't necessarily mean your posts automatically shadow-banned. And finally, this entire exercise taught me one crucial lesson: I don't care. I don't care about the numbers, I don't really care about having more likes or followers than someone else. All I want out of this brand is to create useful, informative and entertaining content, and it doesn't matter to me how many people see it, but rather what it makes them feel if they do see it. So I guess the big take-away from this elaborate (not really) experiments is that the second you let go of the pressure of having a certain number of followers, or the feeling of not being "legit" enough to share content if no one is seeing it - once you let go of all that crap, you get to truly enjoy creating. The only thing that really matters is what you think about your content, and the kind of impact you want to create in this world. Everything else is simply numbers, and if you live your life by a counter, you miss out on all the amazing opportunities to connect with actual people. So there we go, guys, personally, the whole Business-ban thing seems a bit too tin-foil-y to me, and it honestly doesn't even matter as much as I thought it would. Have any of you guys tried this experiment? Share with the rest of us what you found in the comments section of this post! And remember, if you like this post, please take a second to share it with someone else who might find it interesting, too! Alrighty, my little conspiracy theorists, I'll see you again very soon with more interesting ideas! Thank you so much for spending some time with me today, and I hope you have an amazing Wednesday! Like this post? You'll LOVE these! 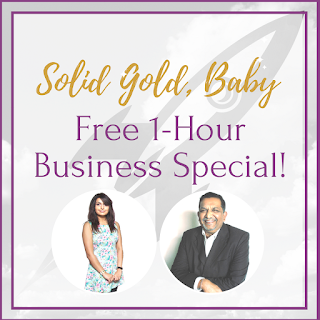 Content Repurposing + FREE HOUR OF BUSINESS ADVICE! Today, I want to share with all you lovely people, the free, full-length, 1-hour long version of episode 7, featuring my dad! For those of you who don't know my dad, Vijaykumar Nair, he is an absolute genius when it comes to business, and has taught me pretty much everything I know about sales, marketing, management, and customer relations. With over 25 years of experience in field such as real estate, sales and marketing, perishable and consumer goods, retail, and many more, he has a wealth of information and was kind enough to share it with us for free! Go say hello to him over on Twitter and LinkedIn, and definitely tell him to come back on the podcast! 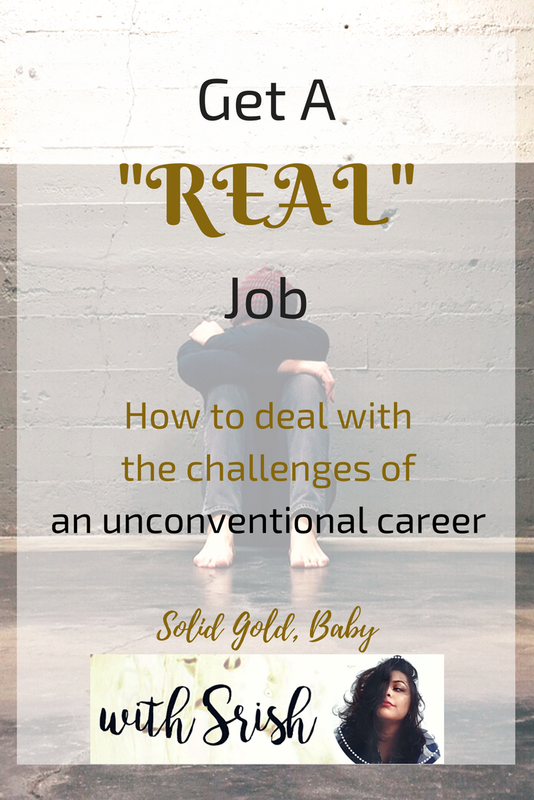 In this episode, we spoke all about the courage it takes to get into an unconventional career, how to deal with people who try to win by bringing you down, how the job market has changed over the decades of his experience, and how businesses can go about implementing socially-conscious strategies at no extra cost, while increasing their profit margins! It is probably the most insightful episode there ever has been, and I'm gonna say this one more time - IT IS 100% FREE TO LISTEN TO! Check out episode 7 by clicking the image below! This week, we're keeping it fairly light, and talking all about content repurposing. 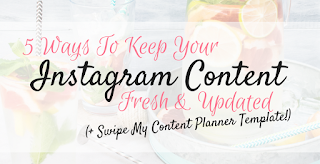 Yes, I know, a lot of you think that repurposing content is simply lazy and convenient, but in today's minisode, I explain all about why content repurposing is absolutely crucial to any good content strategy, and I share with you five quick and easy ways in which you can repurpose Instagram content! In the full episode, I share ten more ways in which you can repurpose content, including some ways to generate revenue! You can check out the full 30-minute version of this and every episode for literally $1 ONLY over at www.patreon.com/solidgoldpodcast ! Your support is absolutely vital to the survival of this podcast, and to the millions of cups of coffee that go into it! Click the banner below to check out every single full episode! As always, I'd love to know what you think of both these episodes, so make sure you tell me by dropping me a message via e-mail, or over on Instagram, Twitter or Facebook! Thank you so much for listening, and I'll see you again next week with an important update! Starting A Personal Brand? 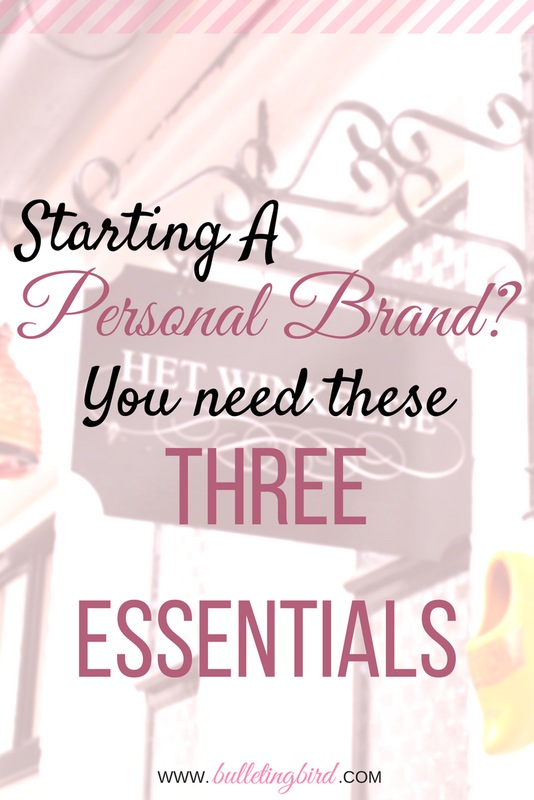 You NEED These Three Essentials! So we've talked about personal branding previously in a newsletter, and I'm not going to repeat the exact words. However, today I want to discuss all the basics you need in place in order to establish a strong, recognizable identity that screams "you!" from miles away. Wow last week has been busy in this house! The doorbell has been ringing almost constantly all weekend, and with Summer's birthday (he's 4! How?!) and a repetitive strain injury from holding my claw around a stylus for four hours straight, I've completely lost track of what day it is, let alone what content I need to be posting! And here's a picture of the birthday boy because I know how much you love floofs! 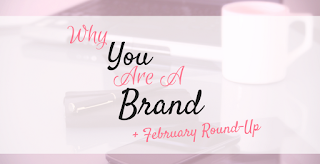 Anyway, it's about time we actually stuck to this month's blog agenda for once, and spoke about personal branding! 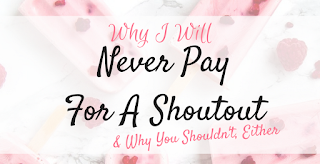 Before we begin, I'm going to say this right now: you do not need to spend copious amounts of money to start a business, especially not since the advent of social media and freelance branding experts (such as yours truly!). Of course, if you're really not into working behind the scenes to create a brand, a professional (such as yours truly!) can be a massive asset. Having said that, I legit created my brand identity on my own to begin with, and you can, too. Keep the money safe for now and spend it on professional branding when you've established the basics I describe in this post, but right now, all you need to spend is some time and brain power. DISCLAIMER: I'm going to keep asking you to get in touch with me cause I do branding professionally, but I swear this post isn't going to be more than about 20% plugs. Having said that, get in touch with me! I've said this before in posts about Instagram marketing, but this most definitely applies to any kind of brand identity. Your brand voice is the one thing your audience will remember about you. Why? Because it is literally the one part of your brand that directly relates to them. Your brand voice is your most important weapon, through which you can move your audience. To understand this concept easily, imagine your brand was a literal person. If you spoke to them, how would they respond? Are they funny, sarcastic and generally good-humored? Are they honest, concise and no-nonsense? Are they affectionate, peaceful, controversial, intelligent, eloquent, precise, or argumentative? 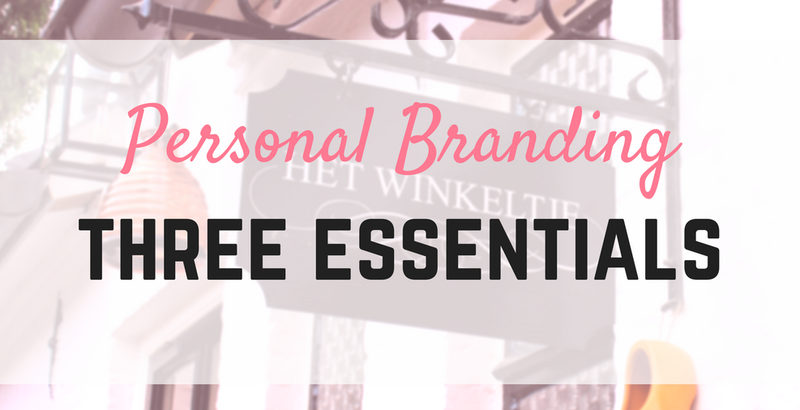 Here's the thing: your personal brand is a person - it's you! Your brand voice is a culmination of how you speak, write, act, react, respond to criticism, appreciate praise, show thanks and love, and approach your work. Most importantly, your brand voice reflects who you are as a creative individual. So it follows that no two brands should have identical voices, since no two people are the same. However, if you look at poorly humanized brands - such as mainstream clothing or automobile brands - their posts are usually dull and neutral, as if they've been written by an actual chat-bot. And I've said this time and again, your followers are people who follow other people. So when they follow a brand, they expect to be interacting with the people behind the brand, not the products or services! Your brand's voice should shine through any piece of communication that goes out to your audience - written, verbal, or visual. When I look at a social media post or an e-mail from you, I should be able to create an actual person in my head who is saying or showing me these things! So first and foremost, define all the attributes that your brand voice will have, and make sure that from this point on, you only put out content - physical or digital - that aligns with this voice! Now that you know how you sound, consider where your voice will be heard best. In other words, how can you deliver your content most efficiently and effectively? For instance, a photographer, make-up artist, painter or chef might find it best to display their work visually, as images or videos. So their ideal platforms would be things like Instagram, Pinterest or Youtube. On the other hand, a writer, poet or journalist will shine on a text-based platform, such as a blog, news website, Facebook, Twitter, or via e-mail marketing. A musician or a public speaker might be even better served by an audio platform such as Soundcloud, or via podcasting or even radio! For reasons I don't understand, a lot of creators seem to spread themselves too thin, trying to share one type of work over too many platforms, just to be able to say, "oh! I'm on that platform, add me!" Not only are these extra accounts redundant, but they take away valuable time and energy that you could have focused on improving your content strategy or honing your craft. I'm going to say this one more time for the people in the back: YOU DO NOT NEED TO BE ON EVERY SINGLE SOCIAL MEDIA PLATFORM! I, for instance, focus all of my time on visual and written platforms, since those are my strongest suits. I write and journal, and I create art. So I share my content over Instagram, Pinterest and this blog, and I brain dump over on Twitter. My Facebook page doesn't get too much of my attention - it mostly runs on autopilot - because Facebook doesn't share my work in the most optimal way. 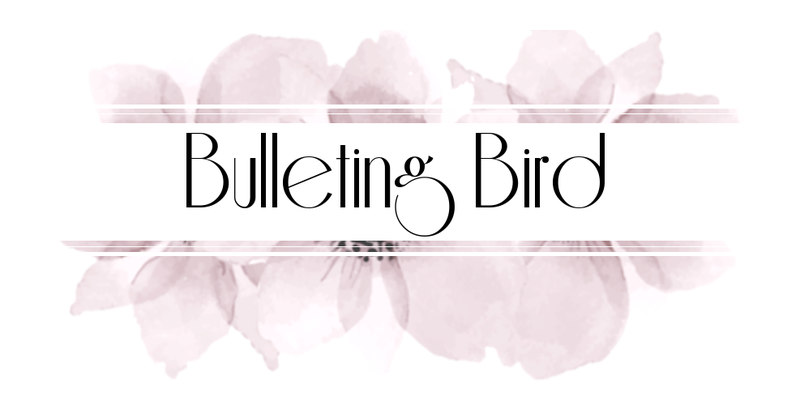 Quite frankly, I only created a Bulleting Bird Facebook page because I needed one to switch to an Instagram Business account. Now I could focus all my energy on gaining more followers on Tumblr or Youtube, or any other platform, but quite frankly, it would just take up far too much time, leaving me with mediocre content that doesn't necessarily speak to my brand voice as well as it should. So choose a primary platform, and focus the majority of your time to create and optimize content that best suits this platform. By this point of this post, we all know that brands should stay the same across all platforms, so that we're always doing justice to our brand voice. But you'd be surprised just how easy it is to forget this when your in the middle of creating your content! More often than not, coherence is just something we assume will happen if we keep creating the content we love creating. But here's the catch: the kind of content we create is constantly changing! This is a pretty basic human tendency and it invariably happens to every single one of us - as we grow personally and professionally, our priorities evolve, and our work is bound to face the effects of this evolution. So the question is, how do we make sure that we're not giving our audience whiplash via a constantly evolving message? The answer is simple - baby steps. Except for in extremely rare cases, most of us don't just change overnight. In fact, the number one reason we don't notice change is because it happens slowly and gradually. And this is exactly how your content should evolve, too. Every piece of work you put out into this world needs to be perfectly aligned with who you are in that phase of your life. And this should reflect across the board, with every platform you work on! Coherence doesn't just mean sharing the same exact post on twelve different websites. Rather, it's about sharing the same message - online or in person. Now I understand this is a lot of content to take in, especially if you're just starting out with personal branding, and there's a ton of jargon here that you're yet to learn. Don't you worry, cupcake, cause Mama's here for you! Seriously, I work over at Launchpad to help businesses and entrepreneurs create a strong, impactful brand identity with literally no previous knowledge of marketing, so trust me when I say, we can honestly help! Check out Launchpad (aka my second baby) over at www.launchpadbiz.com and drop me a line at hello@launchpadbiz.com so we can get your brand ready for take-off! Alrighty, y'all, I hope this post has helped, but please feel free to leave questions and comments here, or over on my Instagram, Twitter, Facebook, or via e-mail. I love hearing from you guys and I have no friends irl so come say hello! If you like this post, remember to share it with someone who might benefit from it, too! Thank you so much for spending some time with me today, and I'll see you again very soon! That's right, today we're breaking down the age-old concept of a "stable" nine-to-five. Plus, later in the minisode, I share a tiny snippet of next week's ultra-special, hour-long episode, so make sure you stay tuned for that! Also in this week's full episode, I talk about the infamous White Moose Cafe incident from January this year, and how to deal with working from home and all its unique issues. Click the banner below and go listen to the full length episode now! Love this episode? Share it with a friend! And remember, the full length episode is 30 minutes long and available to listen at this link! As always, it means the world to me that you listened to this episode, please could you tell me what you think of it? I'd super appreciate a comment on this post, or over on Instagram, Twitter, or even via e-mail! Thank you so much for being here today, and I hope you have an amazing weekend ahead! If you haven't done that yet, check out my podcast, Solid Gold, Baby, at the banner below, and make sure you're listening to the full episodes! Done that? Excellent! Let's jump right in. So for a while now, a lot of people have been talking about a thing known as a "shadow-ban" on Instagram, and there has been a debate on whether or not it's widespread or even real. 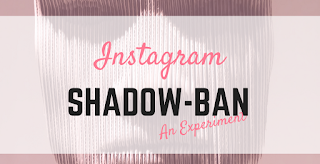 What the heck is a shadow-ban? Well, to put it very simply, it's this idea that Instagram is secretly hiding certain people's posts from the search, or even from follower feeds. I know, it sounds all tinfoil-hat crazy, but stay with me here. The most popular opinion seems to be that Instagram is shadow-banning certain hashtags. Now I kind of see the reasoning, because some people use irrelevant but popular hashtags to share nudes, graphic images, gore, etc. It is very difficult for the developers to sit down and weed out "bad" posts that use irrelevant hashtags, because there are literally millions. So, to make their lives easier, people think the developers have simply banned certain hashtags, so that if your post uses those tags, your followers don't see them, and they don't appear in any search results. Now again, I'm not going to lie to you and say that there is definitely, 100% a shadow-ban running around, because Instagram refuses to confirm this. They keep calling it a "technical issue". Having said that, a lot of people have spent hours trying to figure this thing out, and have realised that the quickest way to find non-banned hashtags is to use suggestions. That's right, when you type out your hashtags in your caption or the first comment, and it shows up as a suggestion in a drop-down list, they say that's a good tag. So conversely, if it doesn't show up on the list of suggestions, chances are, that particular tag has been shadow-banned. I know, it seems like a lot of work to check for every single one of the potential-thirty tags you'd use per post. But hey, if you're gonna drink the kool-aid, you gotta down it like a fresher! Is my post currently shadow-banned? Now I don't know how true the results are, but I can tell you that I've tried this website with two different posts, and one of them was all good, while the other (blog-related) post came up as "banned". I assume this was because the second post used very different, business-related hashtags that seem like they'd be abused and hence banned. There are actually a whole bunch of blogs and websites that seem to tell you which hashtags are shadow-banned, and while I can't tell you whether these lists are accurate (because we don't even know for sure if there is such a thing as a shadow-ban in the first place), they're actually really useful to keep in mind! A quick google search will help you find these lists really easily. Is there such a thing as a shadow-banned account? Again, this is a highly debated idea over the interwebs, but some might say that certain accounts are kept "hidden" from their followers or search results. The point I'm trying to make is this: Instagram reserves every right to openly ban any account without having to really justify reasons why, because they reserve every right to the platform itself. So if they did want to ban an account, why waste time over being shady about it? It just doesn't seem profitable enough to justify creating secret algorithms just to bother some people. So there's a lot of talk going around about business accounts on Instagram. Let me break it down. Business accounts are intended for businesses to connect with their existing consumer base, as well as to reach out to millions of potential consumers. It is probably the cheapest, most effective marketing tool, because people consume and remember visual content more easily, and it allows brands to really make an impact on people who might otherwise never come across these campaigns. Now originally, no one really cared about having a business account on Instagram, cause it wasn't that much different to a regular account...until they added the ability to share direct contact links only if you have a business accounts. So you can add an e-mail address, phone number and physical address to a business page, and Instagram would make it easy for other users to access these details by showing contact "buttons" on your profile. And then, Instagram was bought over by Facebook. And then, they started to really push brands to convert to business accounts, and more specifically, to link the account to a business page on Facebook. Now I've run a Facebook business page from 2011, so trust me when I say that the entire scenario is 100% different today. Earlier, a business page on Facebook was a cool way to share just your work and business updates with a much wider audience, without having to add them as friends on your personal account. Business and personal lives were separate, all was good. Until they added the ability for you to sell directly through Facebook. Yeah, the whole "Shop now" section didn't really exist until quite recently. And then suddenly, a lot of Facebook business pages began to notice that their engagement literally fell by over 80% almost overnight. People were just not seeing their posts, even if they had millions of fans. And THEN Facebook began pushing paid ads. Yup. We all knew it was going to boil down to that: if you were going to try and make money off Facebook, you had to give them a cut. 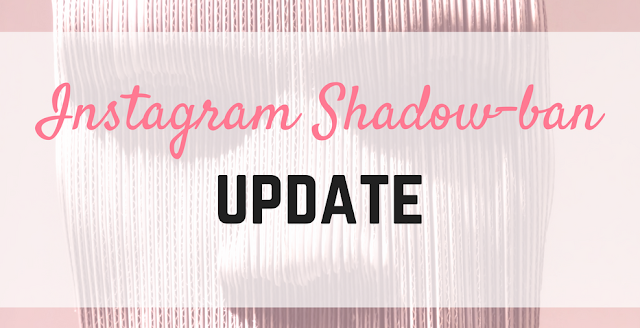 So when Facebook took over Instagram, and people with business pages on Instagram started to notice a drop in engagement on their content, the obvious conclusion was that the shadow-ban can be lifted if you run paid ads on Instagram. The kicker? You can create Instagram ad campaigns and manage them on Facebook. Now I didn't go and spend over £60K on a science degree for nothing, 'cause we gon' science the crap outta this situation. As of 9 a.m. this Monday (March 5th), I've taken my Instagram business account and switched it back to a personal account. At 9 a.m. this Monday (when I'm writing this post), I have 3,290 followers, and my posts get between 90 and 130 likes on average. My follower count has been fluctuating between 3,270-3,280 for the last couple of weeks, which is something that happens way too frequently. It happened around the 2,700 mark, and the 1,900 mark - the follower count simply bounces around a figure for weeks. I'm not sure why, but it happens. Anyway, on average, I get anywhere between 20 and 100 new followers every week, depending on how the stars are aligned (because I have no friggin' clue why else this would fluctuate so much). Every other post gets a few comments, and about every eighth post gets a lot of comments. I'm going to stay with the personal account, keep my posting schedule exactly as it is, i.e. twice a day, with the first post being about my journal (shared around 12 p.m. IST) and the second one being an art post (shared around 9 p.m. IST). I will use the same style of captions as I always do, and use the exact same sets of hashtags. I will continue to follow my current socialization schedule so that my engagement isn't affected by how much I engage with other people's posts. 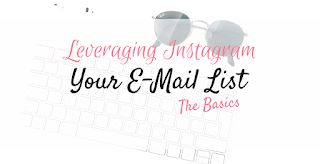 I'll make note of any big changes in engagement or follower counts and check in here on my blog and on my newsletter every week for the rest of this month. Hopefully we'll have a decent amount of data over time. Basically, if my engagement and follower count grow dramatically over March, I think we'll be able to conclude that there is, indeed an algorithm that selectively hides business account posts in hopes that businesses will pay for ads. Honestly, I might even be a little relieved if this is the case, because then I'll know that my growth isn't just stunted by poor content or strategy, because lord knows a lot has gone into the way I currently run my account. I suppose I'd also be incredibly annoyed, not because Instagram needs to make its money - I totally stand by the hustle, it's very real. What would truly irritate me would be the shadiness of it all. The whole "switch to a Business account for free" narrative is basically undermined if there is, indeed, such a thing as a business-account-specific shadow-ban. And if you like this post, please take a second to share it with someone who might, too! 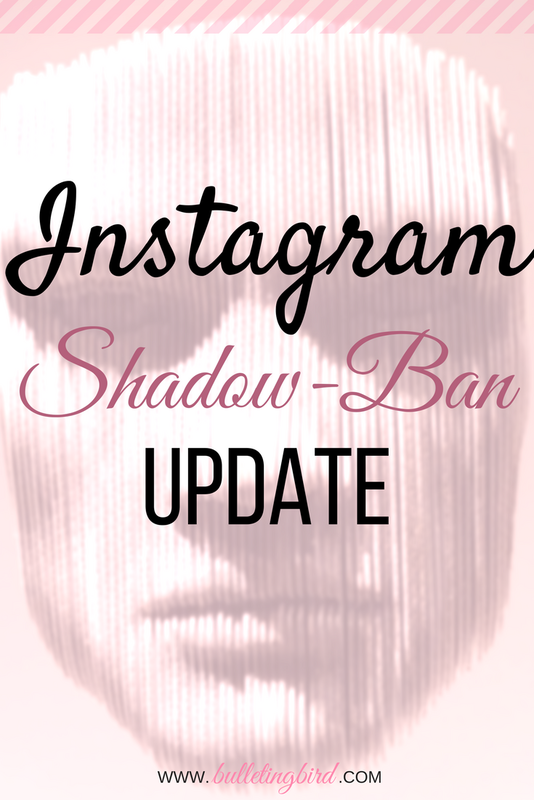 So what do you think of the Instagram Shadow-Ban? Do you think it's real, or is it just an algorithm glitch? Tell me in the comments below, or over on Instagram, Twitter, Facebook or e-mail. I LOVE this topic and I LOVE talking all about it, so hit me up, boo! And again, remember to check out the entire podcast, Solid Gold, Baby, by clicking on the banner below! As always, thank you so much for being here and sharing your day with me, I love sharing my day with you! Podcast Friday is here again, and today, we're talking about what's probably the most common worry in the world - how on earth do I make more money?! 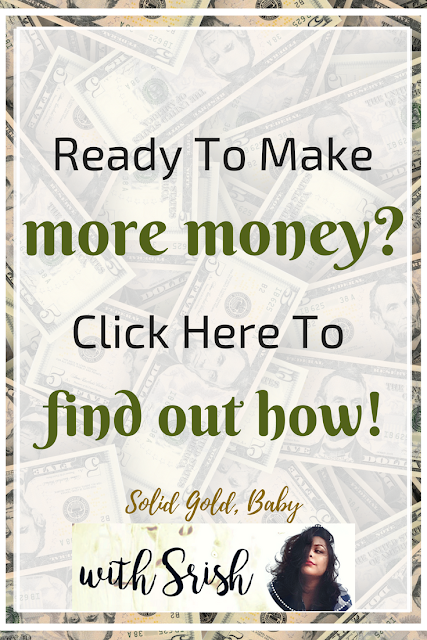 Well, my friend, in order to make more money, you need to be ultra-comfortable demanding more money, and you need to get over your existing mental blocks about being rich and having a fortune. And in today's episode, I share with you exactly that! In the full length version of this episode, I talk about five different ways in which you can get rid of your mental blocks about money, and truly open yourself up to a windfall of abundance. Ready to do exactly that? CLICK THE BANNER BELOW AND LISTEN TO THE FULL LENGTH VERSION OF THIS AND EVERY OTHER EPISODE! First-time listener? Check out the mini-version of this episode below! So what are your blocks about money? Come tell me on Instagram, Twitter, Facebook or via e-mail, and let's figure out how to get through them, together! As always, thank you so much for listening, and I'll see you again next week!